Weight loss is a perpetual issue in people’s minds. Everyone wants to look toned and fit. Here, we will dive into an exercise that many have shied off to lose weight. Resistance training is a form of exercise that improves muscle strength and endurance. During this exercise, you move your limbs against resistance provided either by your body weight, gravity, bands, bars or dumbbells. Some exercises can also be done using a machine. In a quest to lose weight, it’s not typical to consider resistance training. Despite adding muscle to your body, it helps you lose weight and body fat. Adding muscle (lean muscle mass) to your body increases your metabolism hence improving your body’s ability to burn calories. So the real benefit of resistance training isn’t so much the calories you burn doing it, but rather the calories you burn after it and through the day. In saying that, even lower intensity resistance training can result in 150+ calories burned per 30 minutes of activity, whereas higher intensity resistance training can burn much more. Resistance exercises are done in various ways to give perfect results. First, perform using lighter resistance and higher repetitions then select a resistance that brings you fatigue on the last repetition. Secondly, select isolation exercises are it leg curls, triceps and biceps exercises. This ensures that the resistance works on one muscle group at a time. Thirdly, make use of sets to increase intensity. Start high then lower repetitions while increasing resistance. Fourth, be diverse. Vary your workouts with different types of equipment. Finally, combine resistance training with other exercises, like cardio exercises. Resistance training, unlike all other forms of exercises, has a unique way of burning down fat. Strength training has a high EPOC, Excess Post-Exercise Oxygen Consumption. This, in layman’s language, refers to how long your metabolism is elevated after an exercise. The study shows that high strength training improves your EPOC up to over 40 hours after the training. This means that you continuously burn calories long after your training. In many other exercises, once you stop training, so does your body stop burning the excess fat. 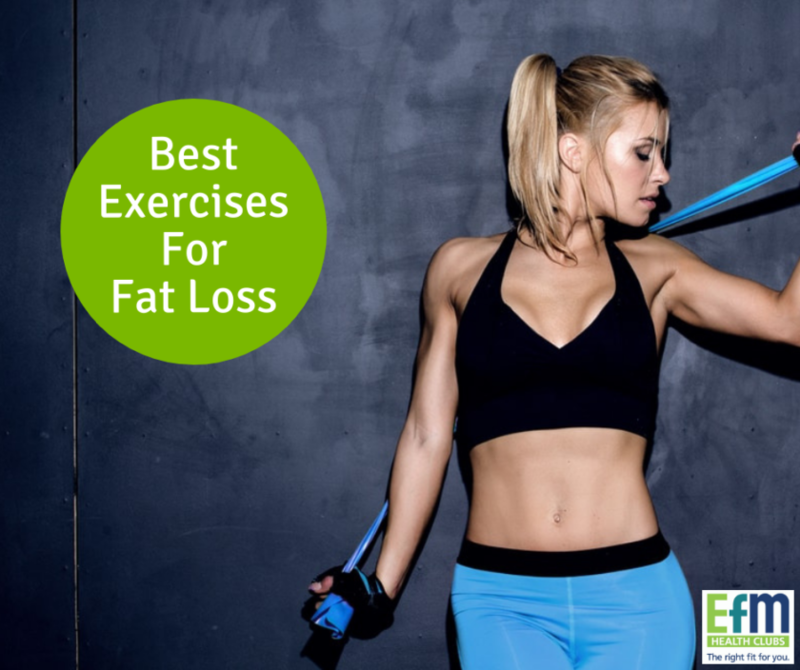 However effective resistance training proves to be in helping you cut the extra fat, there are other forms of exercises have been shown to be quite useful also. Cardio exercises that include running, cycling, swimming and many more are used by many and even work faster and sooner at losing weight. Advancement in technology now has also made the use of machines like the elliptical see losing weight to be like a blink of an eye. Other forms of exercises are flexibility exercises that not only aid in agility but also in weight loss. There are so many other ways in which you can cut down that extra fat. You do not need to get to the gym every day to achieve it. Keeping yourself busy at all times doing regular chores is also very effective. Statistics show that a sedentary woman burns down an average of 1800 calories in a day and at least 2200 calories for an active woman. For a regular person, you can also choose to be walking instead of using a vehicle to take you around. The best times when the body breaks down calories is when you are going up a hill or a flight of stairs. Finally, avoid junk food. Sugary foods take a long time to be broken down and are stored as fat in the body. Taking soft foods like veggies and drinking lots of water aid in breaking down of calories. In conclusion, losing weight depends upon your efforts. Gaining weight is very easy as compared to losing it. The exercises above take the effort to ensure you get into the perfect fit you are looking for. Heed the instructions given, and you will live a healthier, happier life.